10 must see places in Italy! 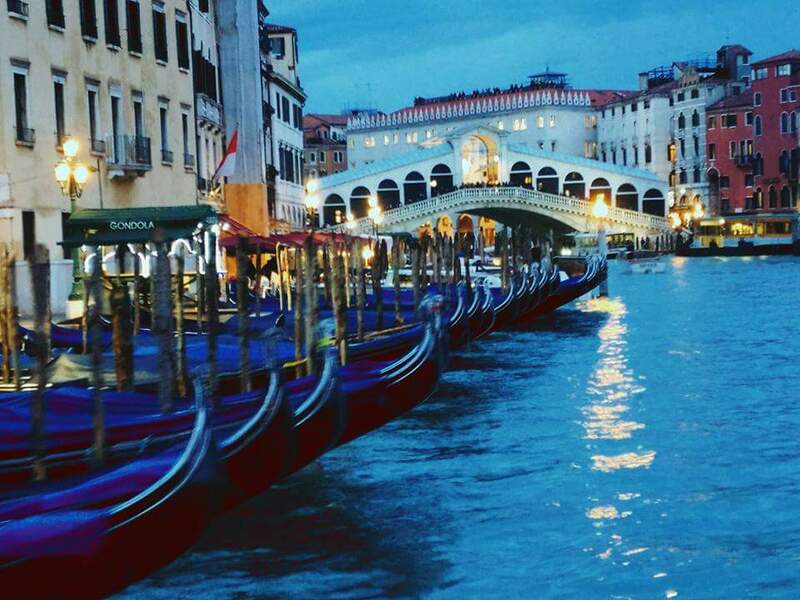 Below are 10 places I visited on my European holiday that made me fall for Italy. 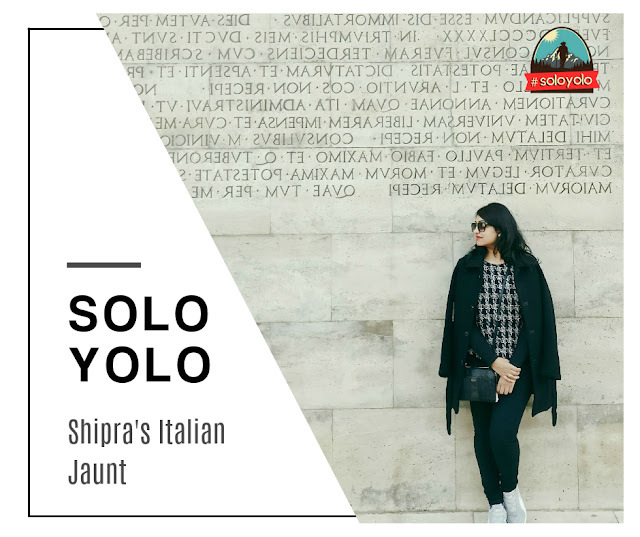 Shipra's travel itinerary across Europe! Love at first sight? That was what I felt when I took a water bus down the Grand Canal of Venice. The lavish facades of the palazzi on its banks, dating back to the time when trade between the East and the West was Venice’s mainstay, were my beautiful companions for the evening. As I glided along on the water, I could see that Venice is a collection of islands strung together by its bridges and I was excited to know that every time I crossed a bridge, I would actually be island-hopping! Walking around the city, I found that, although car-free and compact, Venice is a veritable maze of narrow calle (streets). But when I dared to lose myself in them, I was richly rewarded. All I needed to do was leave my map behind and carry my sense of adventure along on my European holiday! And when my feet began to protest from all of that walking, I sat down to enjoy the soothing lapping of the water in the canals, with a Bellini or Spritz in hand. Tip: Take the elevator to the top of the campanile in San Marco square to enjoy a seagull’s eye view of Venice and the surrounding lagoon. 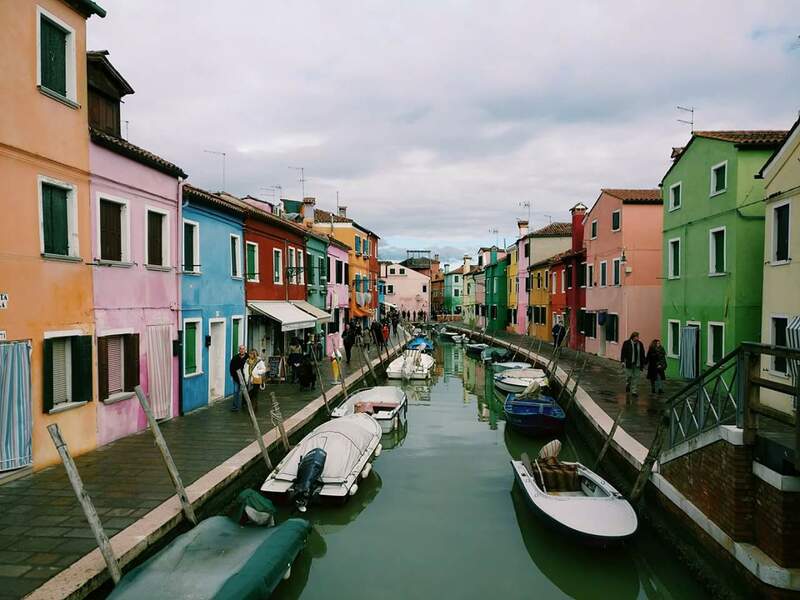 Taking a 45-minute ferry ride from Venice, I reached the most cheerful island in the Venetian lagoon - Burano. Its colourful houses (painted so to aid the island’s fishermen in identification at nighttime) provided the perfect backdrop for pictures of my Italian holiday. Between selfies, I munched on the S-shaped Buranelli cookies and shopped for handmade laces that are specialties of the island. Tip: Ponder over the leaning bell tower on the island. The Leaning Tower of Pisa isn't the only one. I must admit that before proceeding on my European holiday, I had not known much about the Italian Alps a.k.a the Dolomites as they are (surprisingly) less popular than the Swiss Alps. However, they turned out to be one of the highlights of my trip. Stopping at picture postcard towns such as Pieve di Cadore and Auronzo di Cadore, I learnt that this region of Italy is economically significant owing to its timber and eyewear industries. The fashionista in me was thrilled to pick up designer frames at discounted prices at the factory outlets here. Travelling further into the Dolomites, I reached the “winter wonderland” setting of Misurina. It is perfect for snowball fights (oh, how I missed my girl gang! ), but I had to make do with a walk on the frozen waters of its lake. 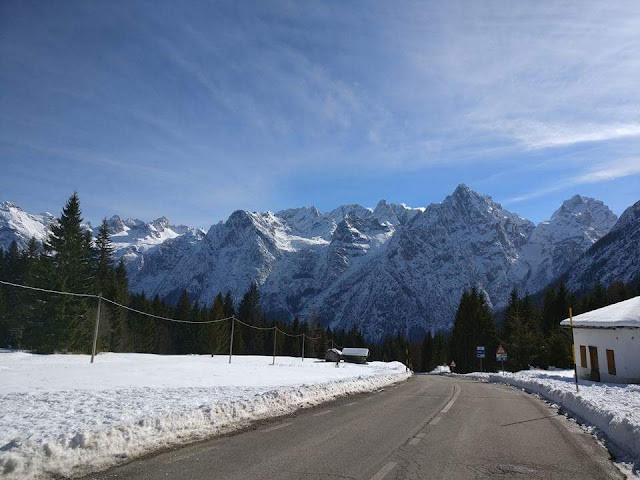 In the mood for some skiing and celeb sighting, I then headed to the chic town of Cortina D’Ampezzo, my last stop in the Dolomites. Tip: Visit the Olympic Ice Stadium in Cortina, venue of the 1956 Winter Olympics, to watch figure skaters and curlers in action. As an art, fashion and history buff, I knew I had arrived at the right place when I reached Florence. The Uffizi and Accademia art galleries are treasure troves I could easily spend days in. The high fashion boutiques on Via Tornabuoni (including the first Gucci store in the world), jewellery shops on the Ponte Vecchio, leather goods stalls at San Lorenzo Market and artisans’ workshops in Oltrarno are where I got my shopping fix. 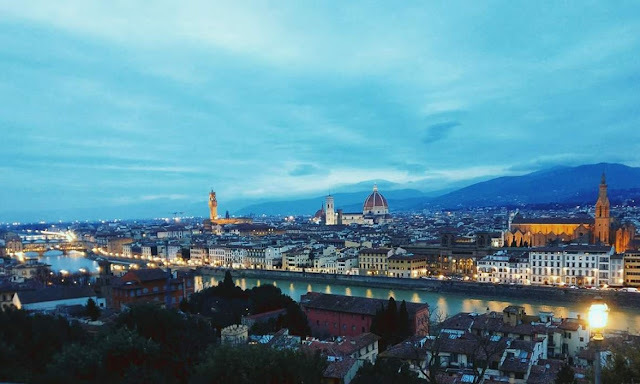 I also signed up for free walking tours to understand the role played by the bankers-turned-nobles of the Medici family in shaping the political and cultural life of Florence. Thereafter, spotting the Medici crests on various monuments around town became a favorite pastime of mine. But if I had to pick the best experience of my Italian holiday it would definitely be ascending the dome of the Duomo. My tiredness, from climbing 463 narrow steps to the top, vanished as I saw the beautiful city of Florence laid out before my eyes. To unwind afterwards, I watched the sun set over the city from the heights of the Piazzale Michelangelo. Tip: For a break from the city and a taste of “la dolce vita” on your Italian holiday, you can explore the beautiful Tuscan countryside on a tasting-tour of the world-famous wines produced in the vineyards there. 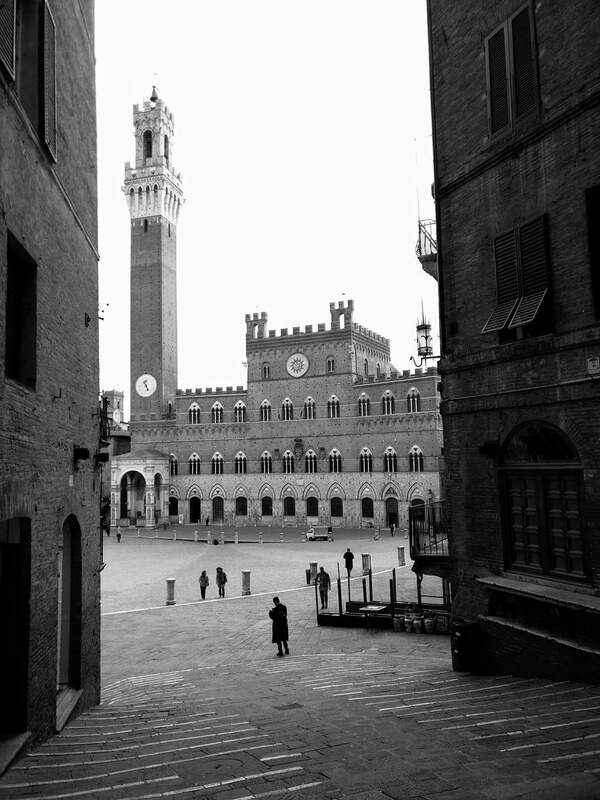 Standing in the seashell-shaped square in the city of Siena - Piazza del Campo – it felt like I had stepped into a time warp, where very little seemed to have changed since the 1500s. From a documentary I had watched on the bus on the way, I knew that the historic centre, surrounded by well-preserved palaces, doubled up as the venue of the Palio horse race held twice every year. The locals regaled me with stories of strategy and gamesmanship employed by the fiercely competitive contrade (city wards) in winning the Palio. It is the local tradition for the Palio winner to give thanks to Mother Mary in the Cathedral. So, it was where I headed next, and what a treat it was! All its different elements - the mosaic works on the floor, the Moorish-style striped columns, the star-studded dome and chapels decorated with works of Donatello & Bernini – came together beautifully and made it one of the most beautiful churches I visited on my European holiday. Tip: Spot the Capitoline Wolf statue which is the symbol of Siena. 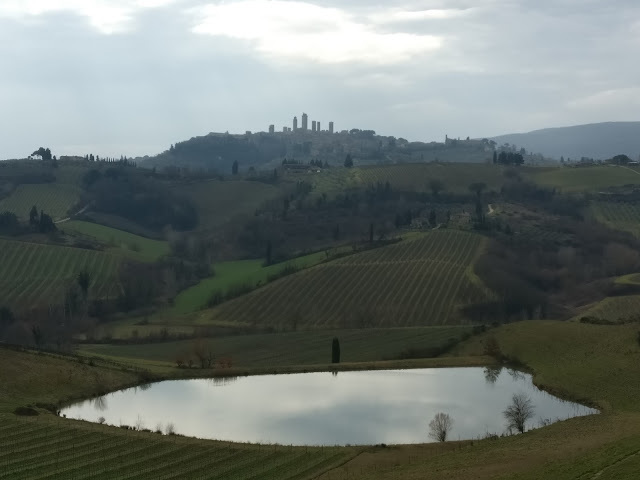 Approaching San Gimignano, a UNESCO World Heritage Site, I saw the perspective that renders the name “Medieval Manhattan” to this quaint town. Rising high above the undulating greens of the Tuscan countryside, 14 towers formed one of the most distinctive skylines I had seen on my European holiday. As I walked around the town with nobody in sight, a gelato cone from the World Championship-winning Dandoli for company, I couldn’t help feeling as if it was all a giant set put up for a period film. Tip: Climb up to Rocca di Montestaffoli for sweeping views of the countryside. Climbing the tower with the marked tilt will certainly be one of the most unusual experiences of my European holiday. 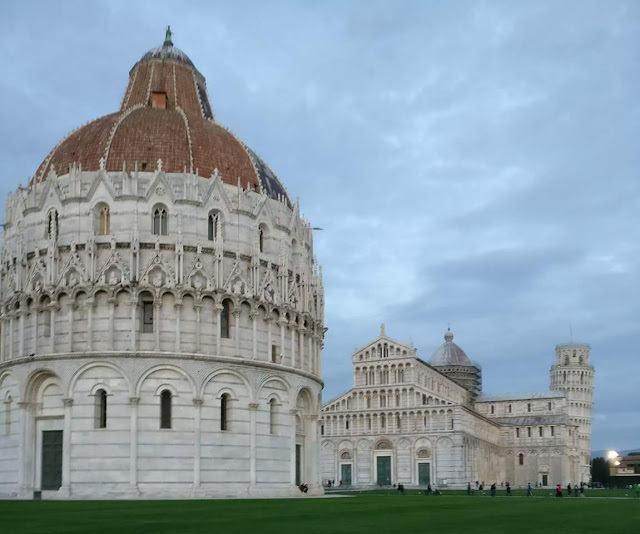 And, in reward for my effort I received panoramic views over the Field of Miracles and the city of Pisa. After visiting the Cathedral and Baptistery in the same complex, I took a well-deserved break by the banks of the River Arno. Turned out it was my lucky day, and I was able to catch a rare sight of the dolphin which swam into the Arno from the Mediterranean! Tip: Beware of pickpockets when you are occupied with clicking funny pictures with the Leaning Tower. 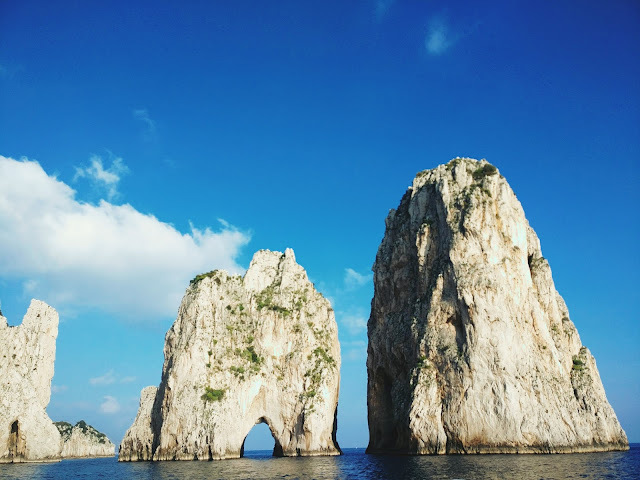 Nothing spells vacation for me like being on an island, and for some quality island time on my European holiday, I headed to Capri. Nature has shaped from limestone some of the most dramatic cliffs, caves and rocks here, which I was able to appreciate (and take gazillion pictures of) from a boat ride around the island. Back on terra firma, I took the chairlift up Monte Solaro to get to the highest point of the island. Even though the steadily ascending 13-minute ride was spectacular, the view of the Bay of Naples and the Amalfi Coast from the top took my breath away. Before heading back to the mainland (reluctantly, I must add) to continue my Italian holiday, I stocked up on locally produced limoncello, my favorite Italian digestivo. Everything from the color and fragrance to the taste of this magical potion revived me from a food coma and prepared me to attack the next gelateria with renewed vigor. Tip: Weather permitting, you can visit the Blue Grotto for a unique experience on your Italian holiday. The past is very much present in Rome and walking through its diverse neighborhoods felt as if I was travelling back and forth in time. 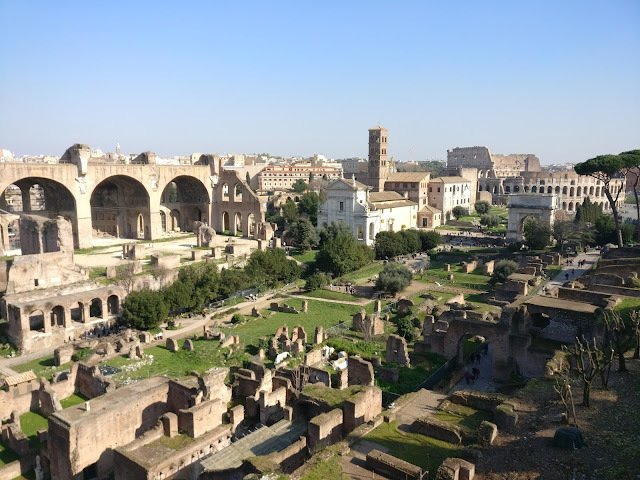 For a glimpse of the Rome of the days of yore, I visited monuments such as the Pantheon, the Colosseum and the well-preserved ruins of the Roman Forum and the Palatine Hill. On the other hand, to feel the pulse of the modern metropolis of Rome, I spent my evenings in the shopping district leading up to the Spanish Steps. Rome is a city of hills and to enjoy great views over the city from vantage points such as Gianicolo Hill and Pincio, I had to do a fair bit of climbing daily. On the upside, all that exercise during my Italian holiday enabled me to partake of local specialties such as Cacio e Pepe and Spaghetti Carbonara with no guilt. Once I was spellbound by Rome, I made sure to throw coins into the Trevi Fountain to ensure my return to the city. In doing so, I also earned good karma as coins retrieved from the Fountain are used to feed the underprivileged of Rome. Tip: Enjoy a good optical illusion? The (non-existent) dome of the Sant’Ignazio Church is to be seen to be deceived! With no border markers, it was easy for me to forget that I’m in a separate country when in the Vatican City. However, visiting its St. Peter’s Basilica, Sistine Chapel and the Vatican Museums is one of the experiences from my European holiday I will remember for many years to come. 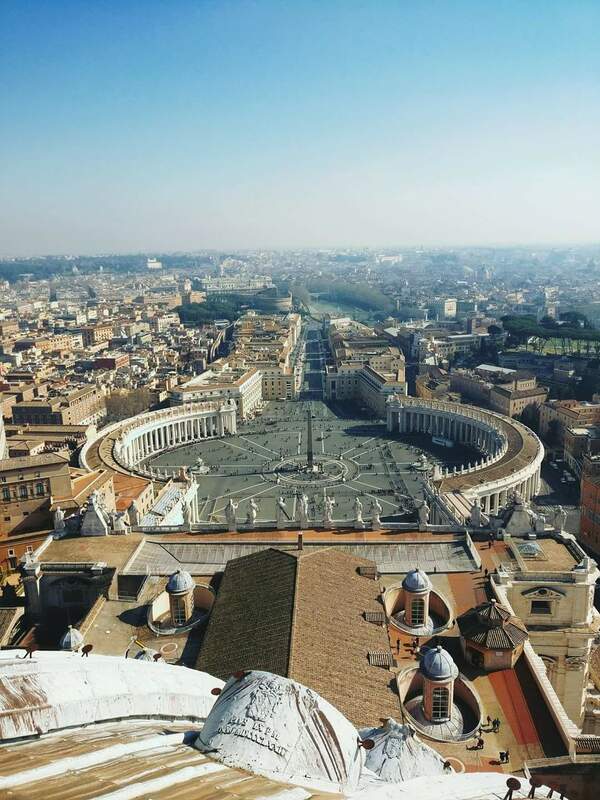 I climbed the cupola of St. Peter’s Basilica to see Rome in all its glory. From the top, I could see several monuments of Rome, particularly the imposing edifice of the Vittoriano and the Colosseum hiding in plain sight behind it. I also made use of the super-efficient mail service of the Vatican Post (by popping into the mail van stationed in St. Peter’s Square) to send postcards bearing tales from my European holiday to family and friends. I also bought stamps printed by the city-state as souvenirs that are unique and easy to carry home. Tip: Reservation of admission in advance is recommended as long queues at the entrance, owing to airport-style security checks, are to be expected. #1 - Save for a Saldi (sale) day. In winters, it could actually be a rainy day! #2 - When life gives you lemons, make limoncello. #3 - Make gelato when the sun shines, and cioccolata calda (hot chocolate) when it doesn’t.